We are up at Loon Mountain, NH again this weekend, so posting is a little slim! It’s been a great weekend of skiing – the snow was awesome yesterday. Brant and I left Boston early yesterday morning to get up here by the time the lifts opened. 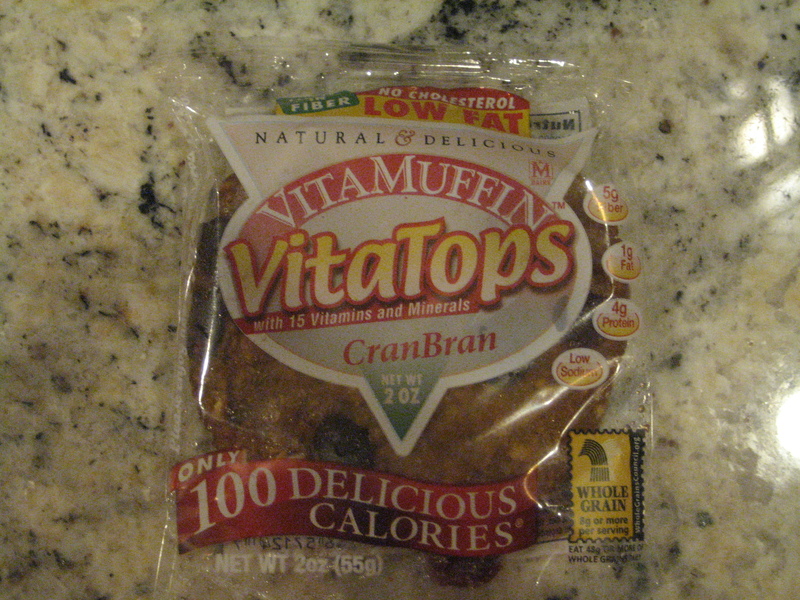 Before we left, we grabbed a few Vitatops for the road. We both tried the CranBran and we liked them! 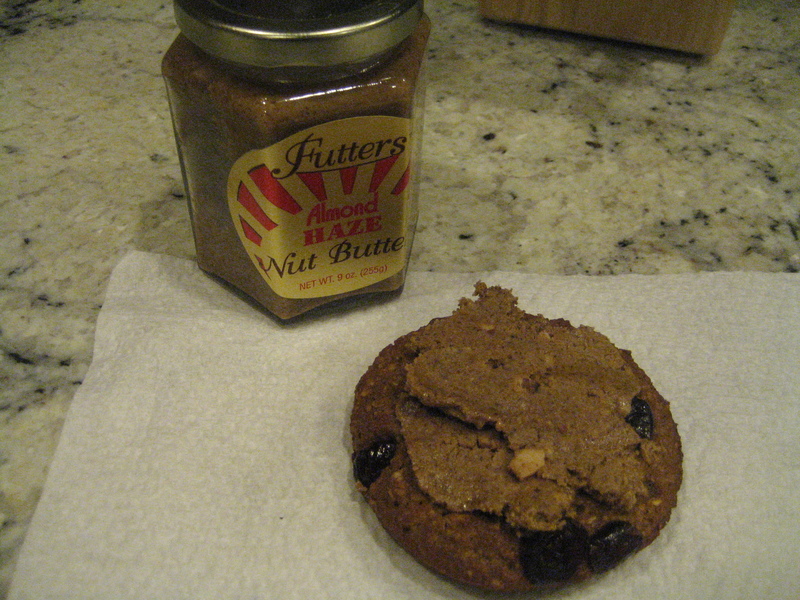 I topped my CranBran vitatop with Futter’s AlmondHaze – yum! And, snacked on a banana. The skiing was awesome yesterday. It snowed all day! 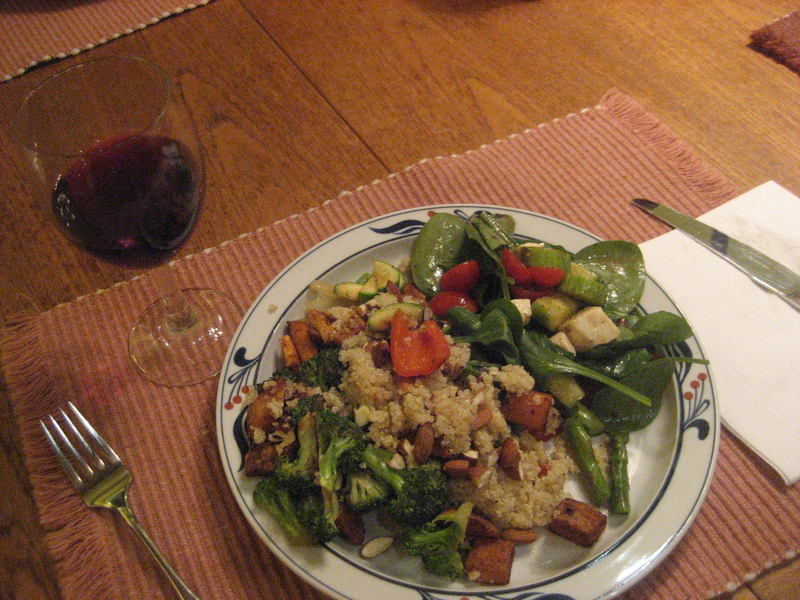 For lunch, I had my usual weekend-up-at-the-ski-house lunch! 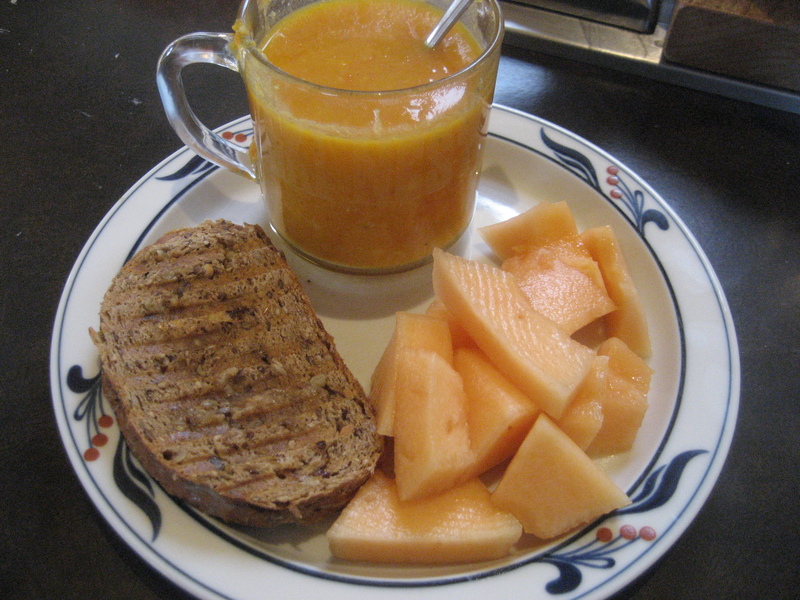 Roasted root vegetable soup, a grilled cheese panini on sprouted wheat and some cantaloupe. 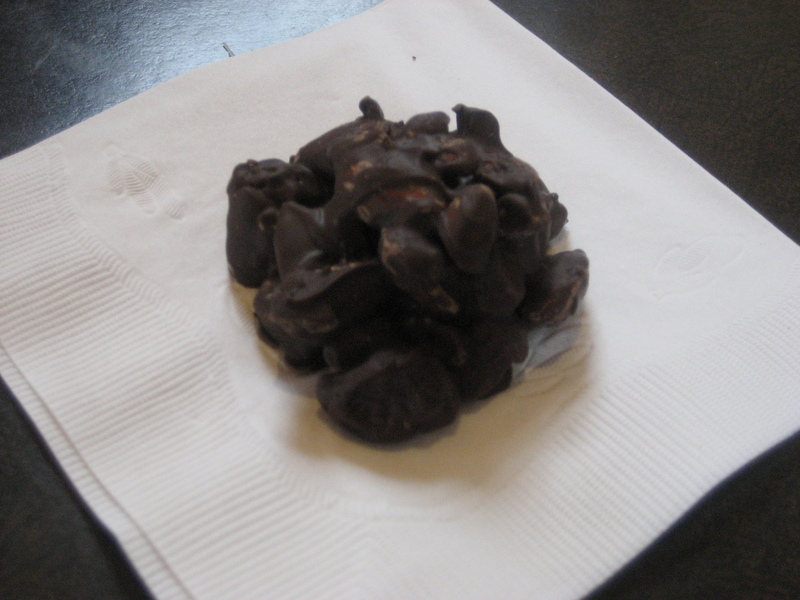 And, a Cherry Almond Chocolate cluster for something sweet. My afternoon snacks consisted of Cinnamon Sugar pita chips (how good are those things?!) 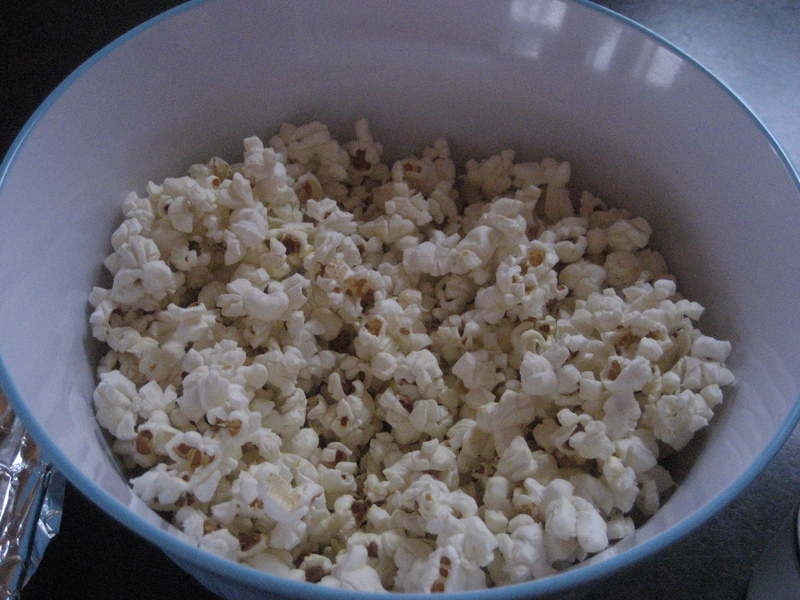 and popcorn! Dinner was fun! 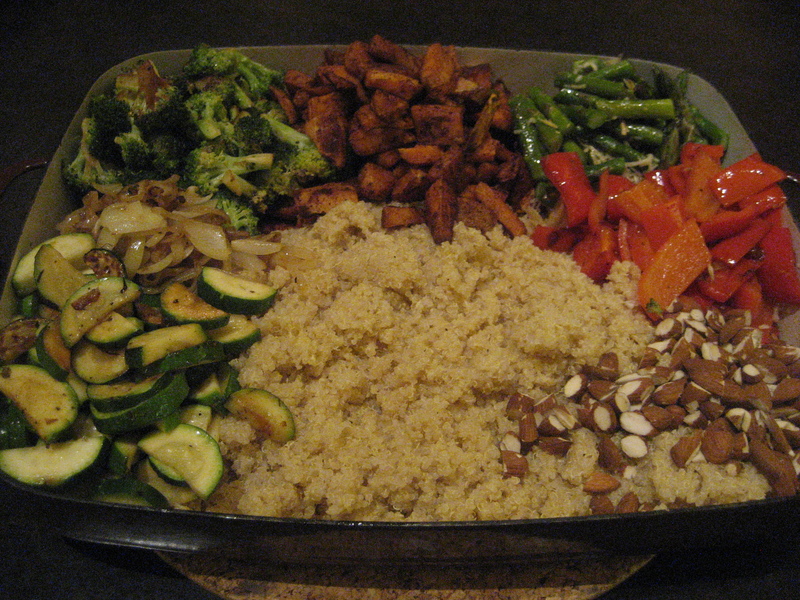 Brant and I cooked up some quinoa with veggies for my family. 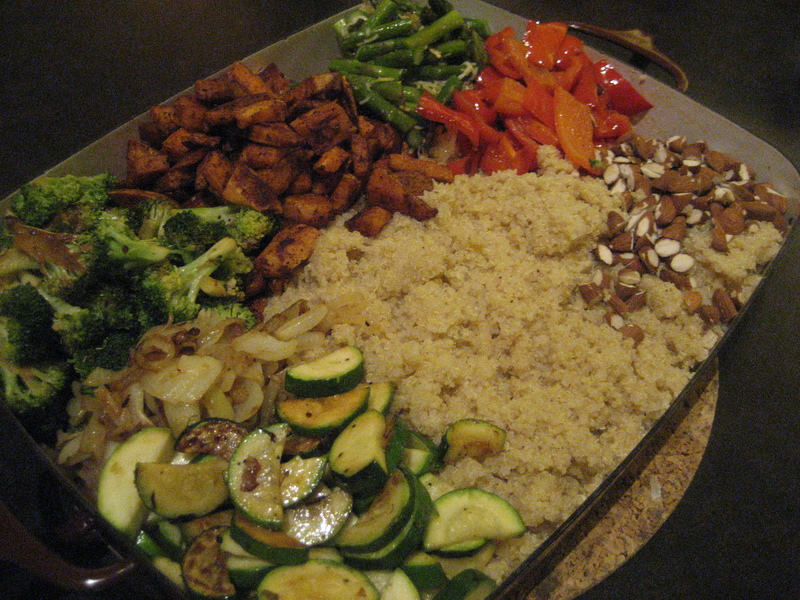 You could easily make this with any vegetables, this just happened to be what we had in the fridge. I loved the combination of everything, and so did everyone else! 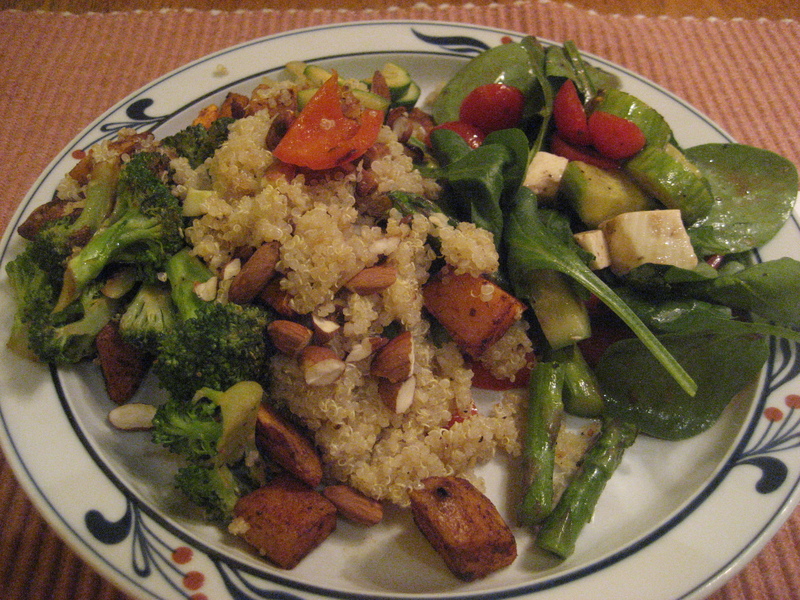 I cooked the quinoa and then added lemon juice, lemon zest, salt and pepper after it was done. The lemon-y flavor was a big hit. I cut up the potatoes into chunks and spread them onto the cookie sheet. 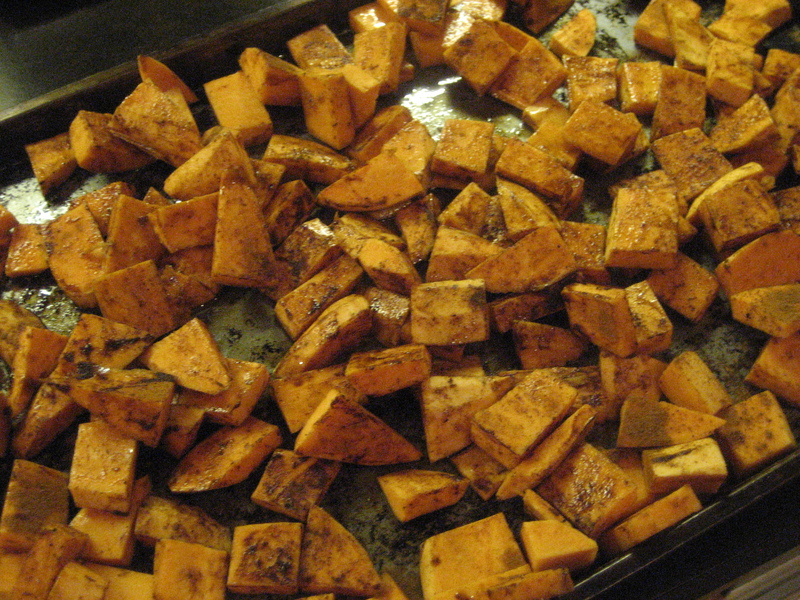 Then drizzled them with olive oil and a hefty shake of cinnamon. Then sprinkled a little chili powder on them. 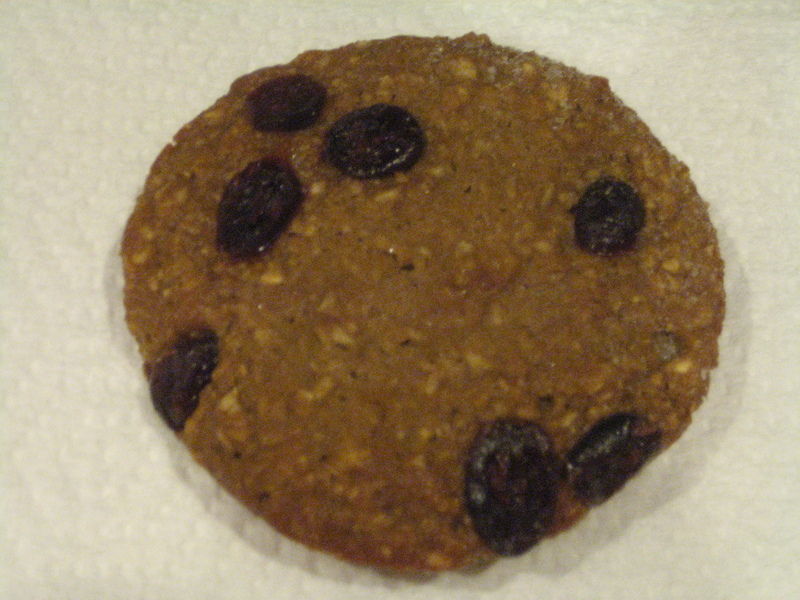 I placed them in the pre-heated oven at 400°F and baked for 40 minutes, flipping them around after about 20 minutes. They came out perfectly baked and a little sweet due to the cinnamon! 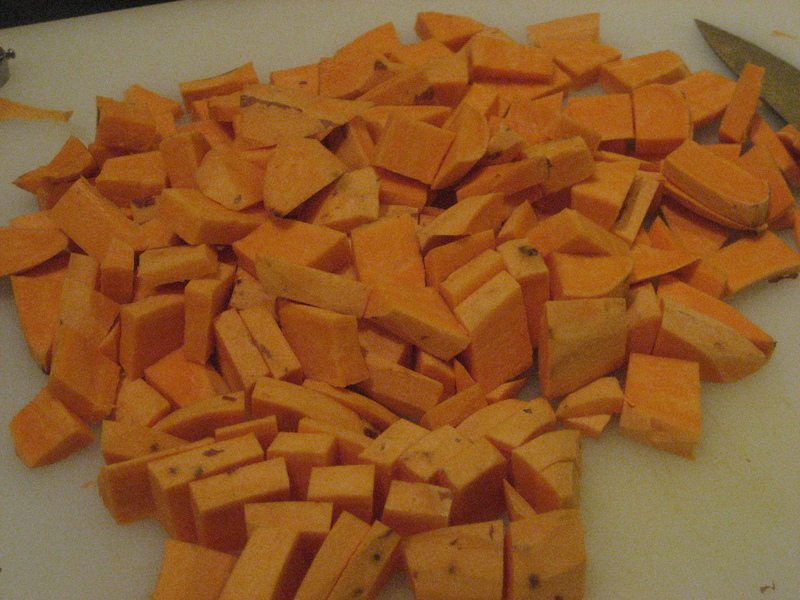 Once the sweet potatoes were baking (since they take the longest), we chopped up a few onions and got them onto the stove to saute. We cooked them over medium heat for about 20 minutes until they were nice and caramelized! 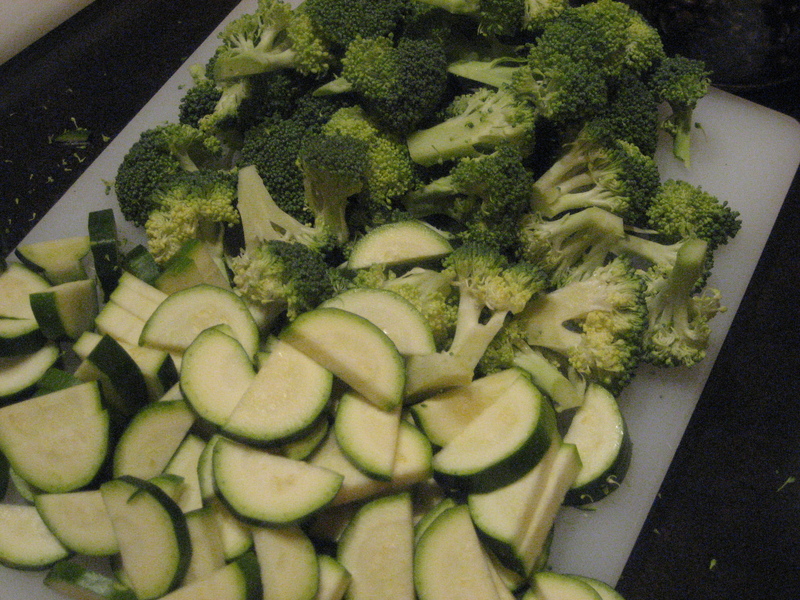 Next, chopping up the broccoli and zucchini. 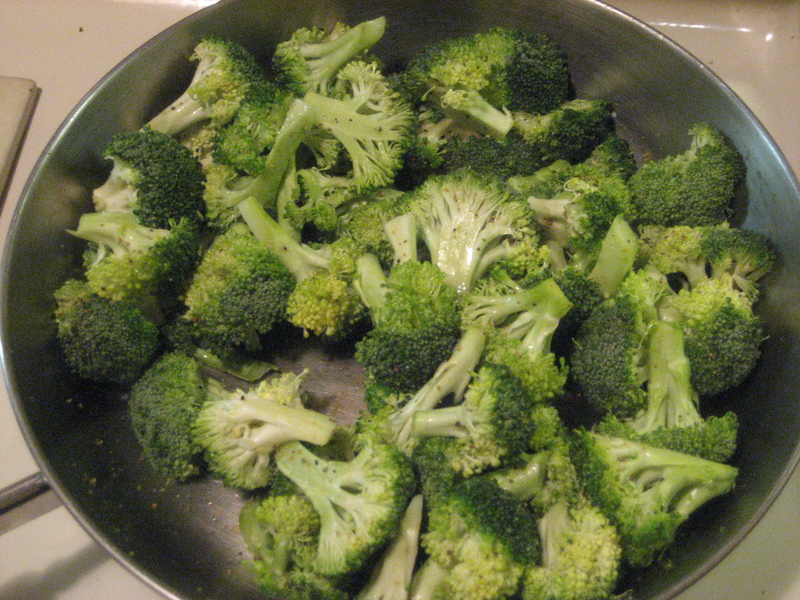 We cooked the broccoli in a skillet with a little olive oil and sprinkled with lemon pepper seasoning (sans salt). It turned out delicious! I had never cooked broccoli with lemon pepper before. 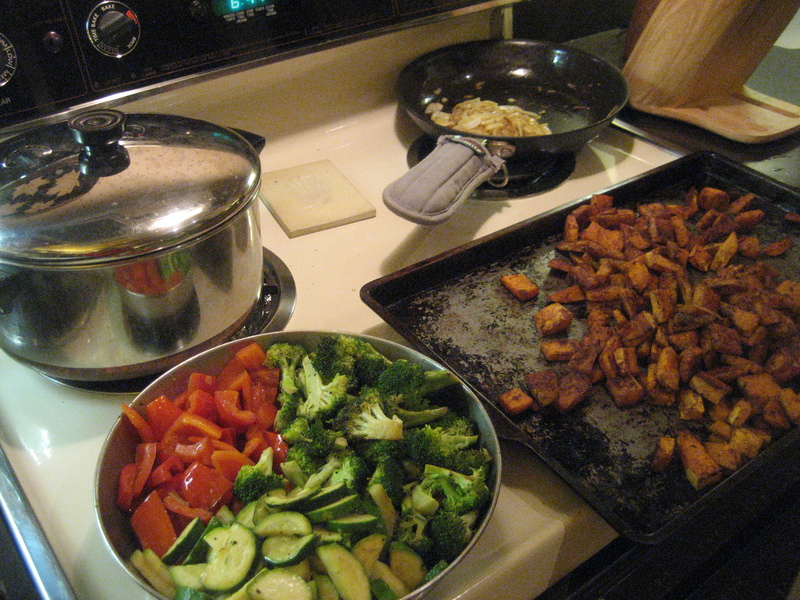 The zucchini was cooked in the same skillet as the broccoli after it was done, with just a smidge of olive oil! After it was cooked through, I turned up the heat to brown the bottoms a bit. 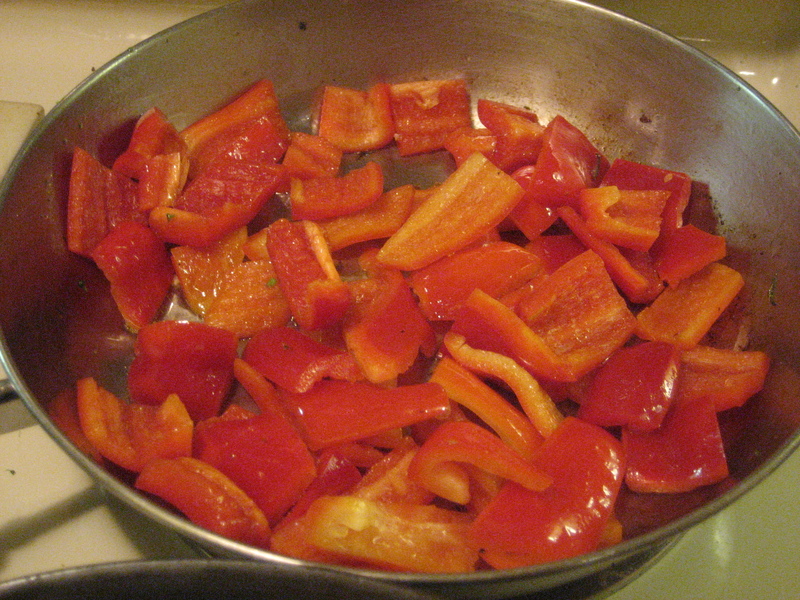 I used the same technique for the peppers. 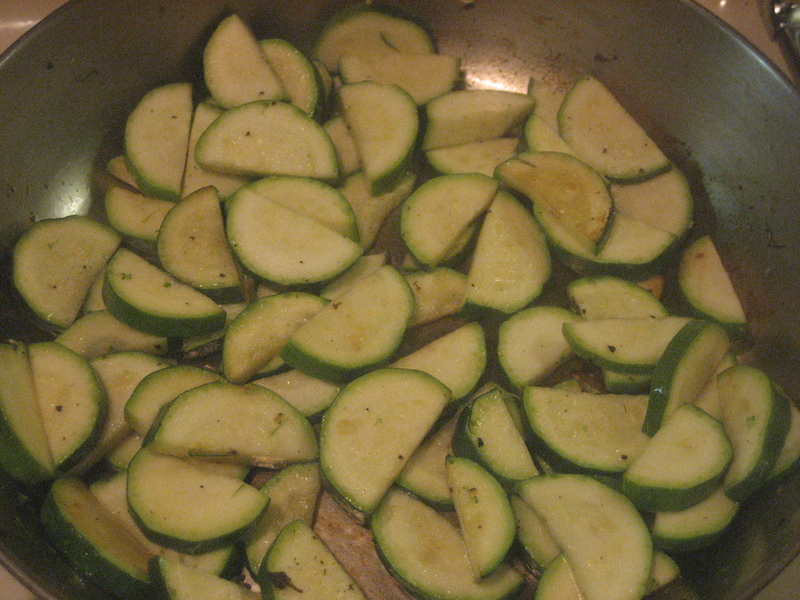 Cooked in the same pan as the zucchini with just a touch of olive oil. My thought was that the sweet potatoes, broccoli and onions would have enough flavors, so I didn’t need to add spices and seasonings to everything! 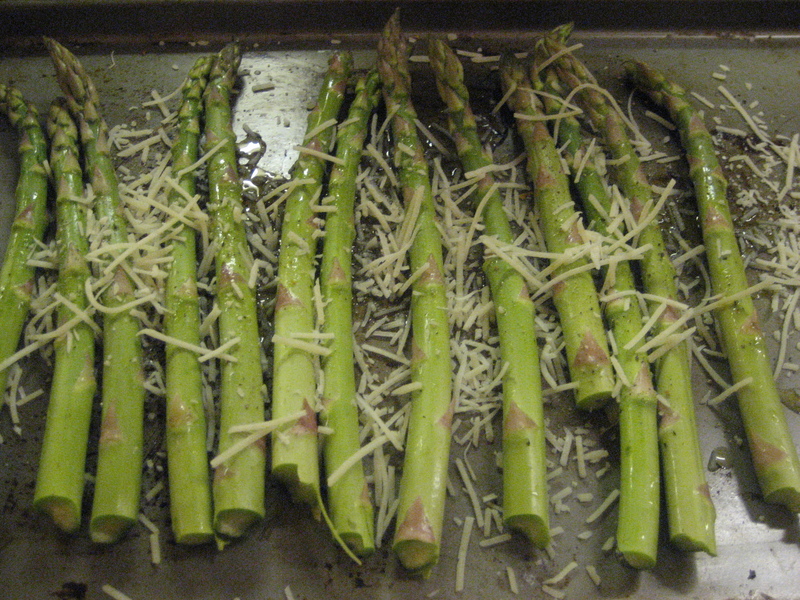 Once the sweet potatoes only had about 10 minutes to go, I laid out the asparagus on a cookie sheet and sprinkles with olive oil and Parmesan cheese. Then baked at 400°F for 10 minutes. 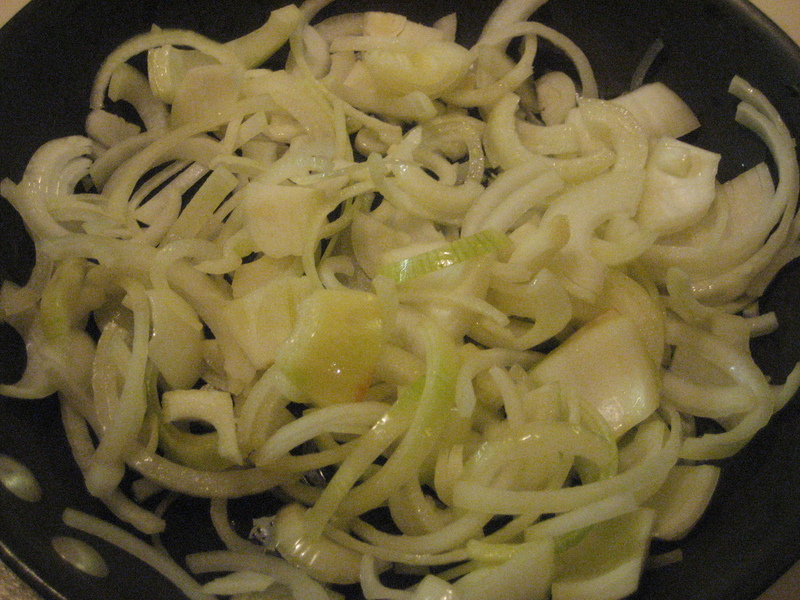 Before serving, I cut the asparagus up into quarters. All ready to make it pretty and serve! 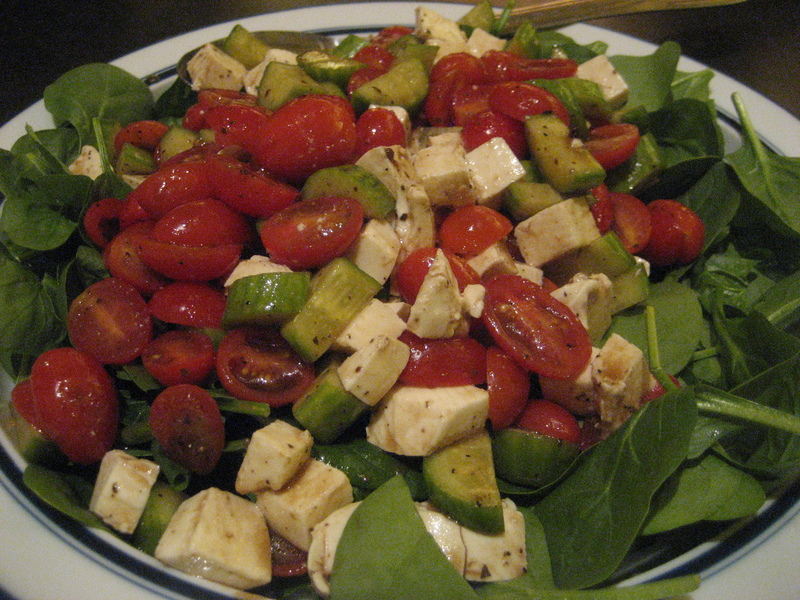 My mom made a delicious salad with baby spinach, cucumbers, tomatoes, mozzarella and balsamic, which we enjoyed with the quinoa. With some red wine, of course! 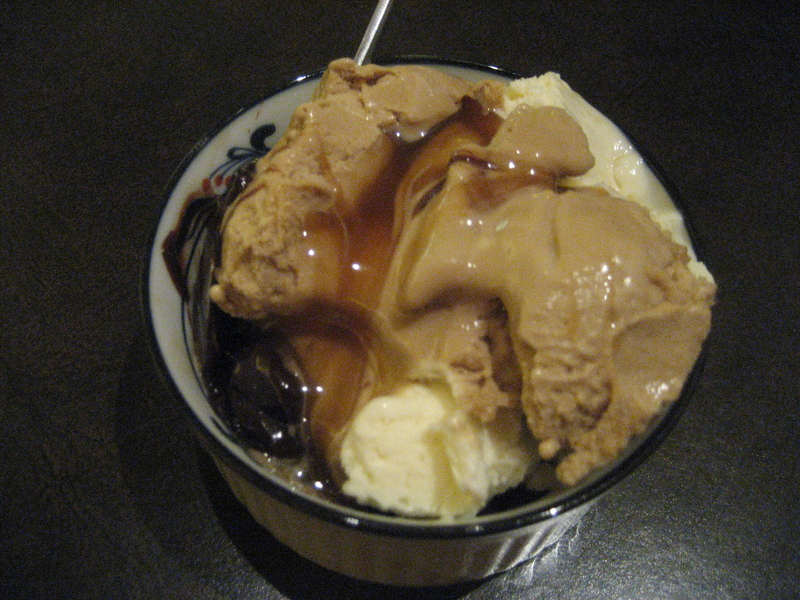 And, an ice cream sundae while watching the Olympics! So sad they are almost over! !